It’s always tricky travelling with children, but it’s even harder when that child is actively nervous about the event itself. It’s enough at times to make parents want to avoid the issue altogether, and while it comes from a great place of love, it can mean solidifying that there is in fact, something to fear. 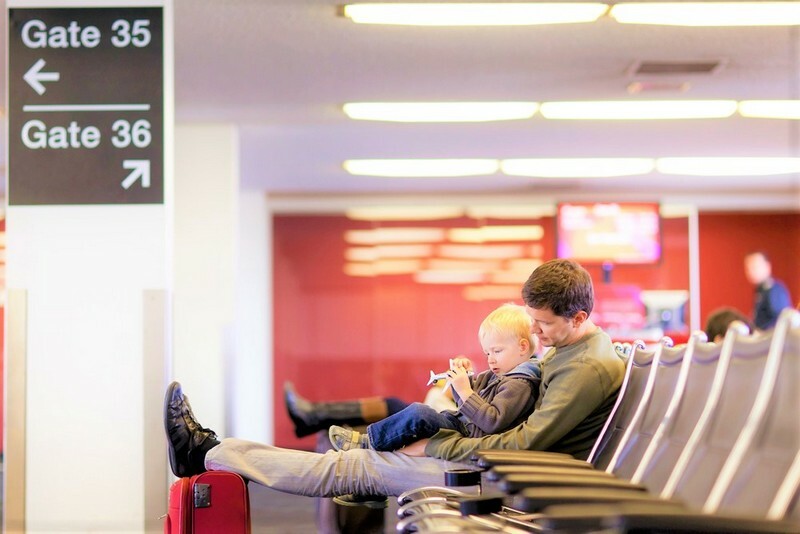 So to help here are some ways to help you and your nervous child prepare for a flight. It’s all too easy when you’re worried about someone to get worked up yourself. It’s natural when you love something to the moon and back to find their distress upsetting, but however much you may be anxious yourself, being outwardly calm is hugely important, because while your little one may not be able to say big words yet, they’re little experts when it comes to picking up on emotions and can certainly tell when dad’s worried, and if dad’s worried then there’s something to be worried about, right? Keep calm. It’s hard especially if tears and tantrums are suddenly at your doorstep but a low calm voice and reassurance is always the way to go. 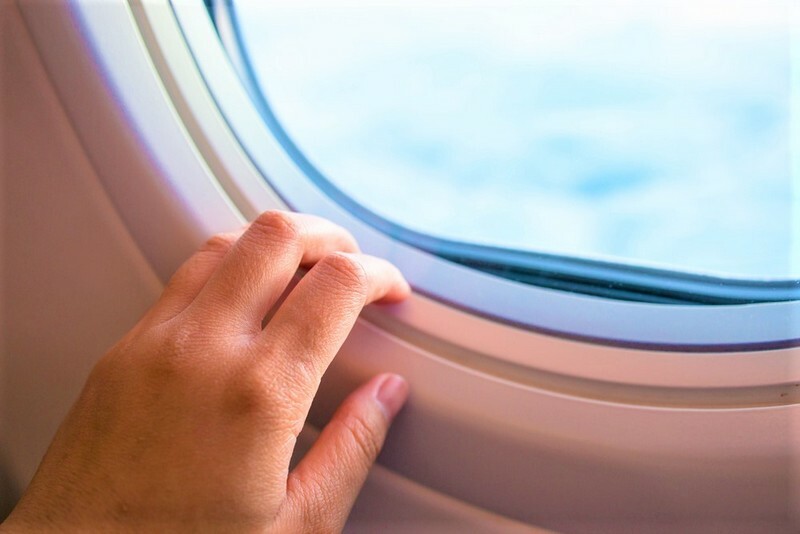 As someone who was introduced to flying in her twenties and was more than a little terrified, being sat near the window was not a magical experience for me. Rather than admire the view, all I could think about was how very far from the floor my flimsy frame was, especially when the plane tilted. Similarly, a nervous child might not appreciate the reminder that they’re off the floor, so it’s best to put them in the aisle seat, especially the first few times. If they want to have a glance that’s fine but being in the aisle adds some normalcy for them, which is exactly what you’re after. You know how a song can take you back to that terrible high school dance or a whiff of perfume can remind you of your best friend? These are associations we make between emotions and outside stimulus and you can use this to your advantage. 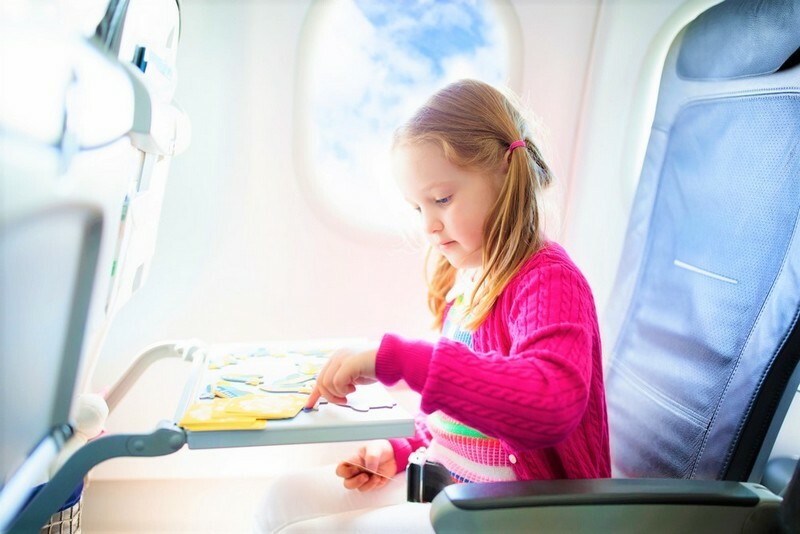 If your child has a favourite toy, some music they particularly like, a t-shirt that they favour because it’s soft, then employ ALL of these things on your flight. The more things they have that result in positive emotions the calmer your child is likely to be. Distraction is your best friend when it comes to combating fear. Books, games and talking are all ways that stop your child obsessing over the big scary thing. Books are especially great at transporting your little one off to elsewhere, while games are just as good at engaging their brain with no room left for worrying. This one is tricky and depends on your child. But if you really can’t seem to shake them from worrying and displaying nervous behaviour, then it might help to very carefully walk them through what they’re frightened of, before outlining why these fears are unnecessary. You might even get some fabulous members of the crew who will help make your case. Fear is often irrational, but it can be a great comfort to go through the process of why there isn’t really anything to worry about. 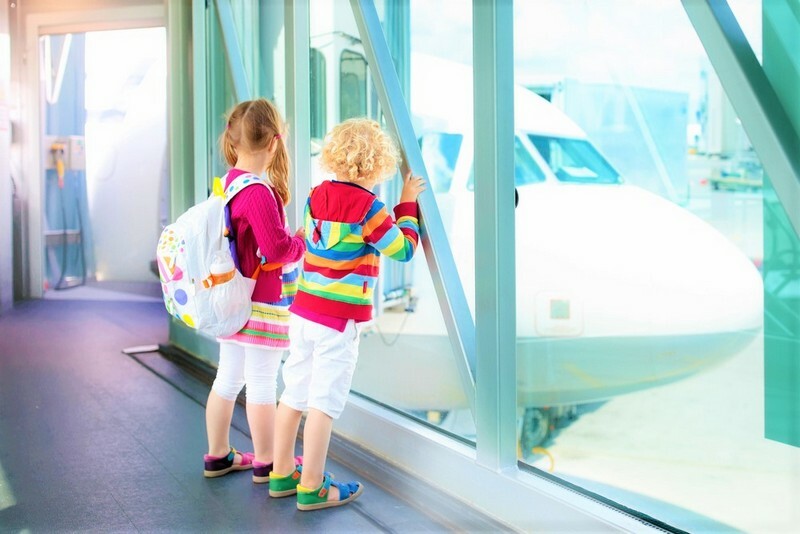 And there we have it, a few little hints and tips that might make flying with a nervous child that much easier.